Nine years ago, the world lost a legend. 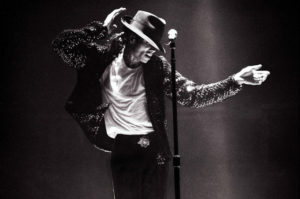 Michael Jackson passed away suddenly on June 25, 2009 at the age of 50–just one month before his This Is It comeback tour was scheduled to kick off. The King of Pop’s impact is felt throughout the music world to this day, as a number of celebrities and family members have taken to social media to honor the late icon. Only met him briefly, but such an honor to have met #MichaelJackson (Neverland, ‘03). Anyone that knows me understands how I feel about him, the absolute, undeniable, GREATEST ALL TIME, a true pioneer, legend! CANT BELIEVE ITS’S 9 YEARS I MISS YOU AND I LOVE YOU ALWAYS IN MY HEART ! !